KeenIT Photo Contest Joomla extension is a ultimate photo contest tool. 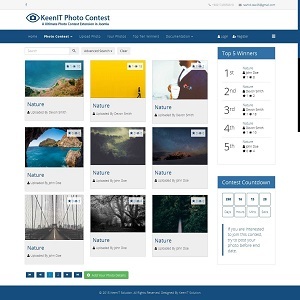 Using this extension, you can easily manage a photo contest for your website. Winners are selected by maximum number of votes. If in case two or more users/authors get equal votes, they will get same winning position. 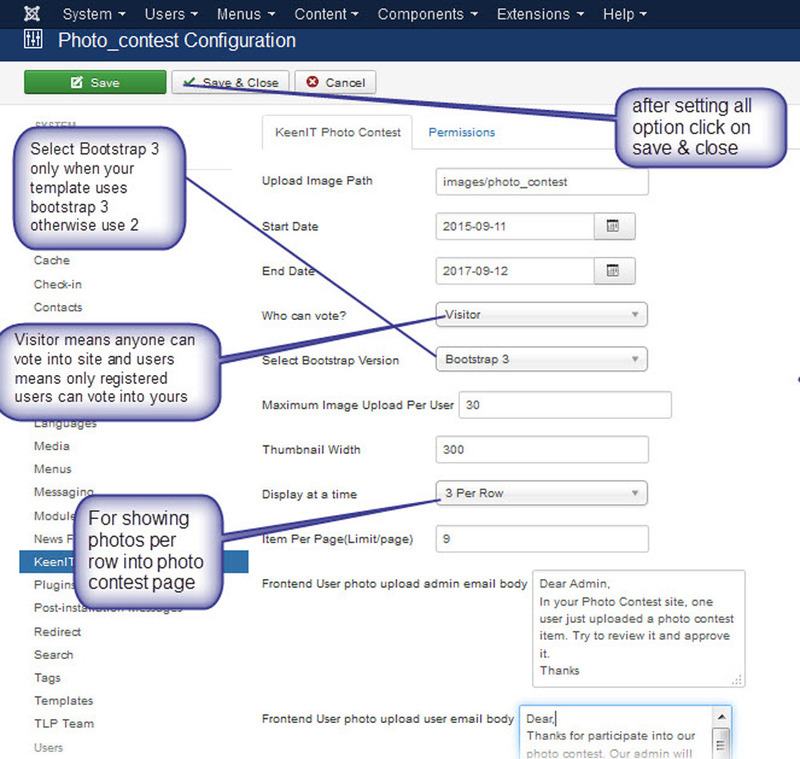 Contest gallery page have layout option, you can set images per row. In admin have option for seeing the leading authors and sending mail to individual authors. Have included three modules – Photo Contest Photos List, Top Winners, Contest Countdown. Users/ Authors after uploading image, have mailing system to user and admin. 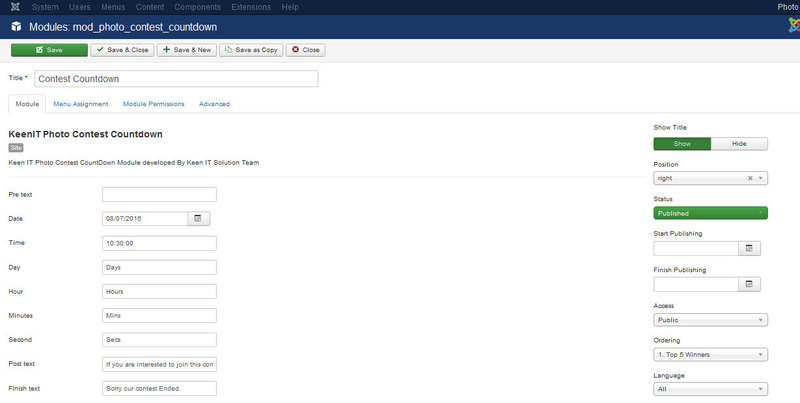 Having option in for setting admin and user email body. Having option in frontend for sorting.